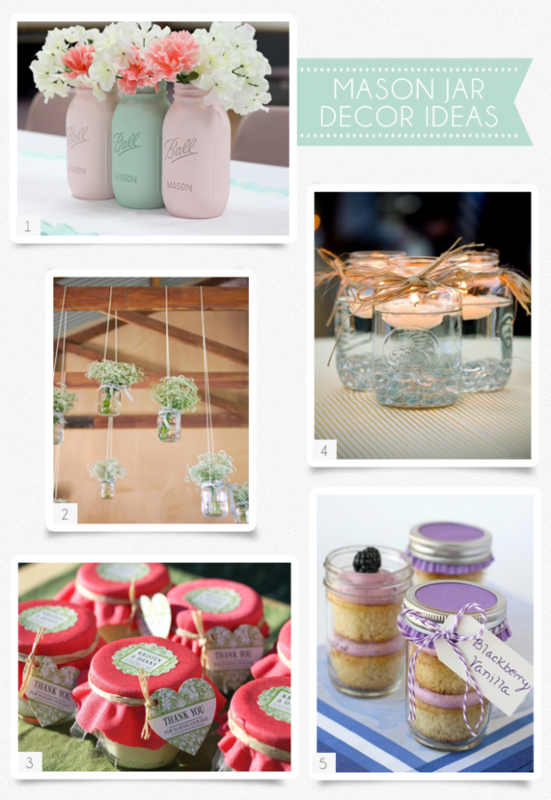 Rounding up a few of my favorite decor ideas using mason jars. 2. Baby’s Breath in hanging mason jars. So simple but really beautiful. 3. Candies, candles, and other keepsakes put inside mason jars make a great gift or party favor. 4. Floating candles / tea lights inside mason jars are so easy to do! Use them as table centerpiece or as a home decor. 5. Cakes / cupcakes in a jar are all the rage right now and it’s easy to see why. They are so pretty and are perfect to give away as gifts especially during the holidays.